Saudi Arabia plans to complete its $100 billion King Abdullah Economic City by 2035, the CEO of the company in charge of the project told AP. Developers hope the city will become the main logistics and manufacturing hub for countries on the Red Sea. The unusual business model of the city, literally built from scratch, required adjustments in the beginning, and the first phase was the hardest point, Fahd al-Rasheed, the Group CEO of Emaar Economic City (EEC), said in an interview with the Associated Press. "Putting that first phase together is the most difficult point," he said on the sidelines of a regional conference of the World Economic Forum hosted by Jordan on Friday. "Once you figure it out, the sky is the limit, so we are in that phase now." EEC is a subsidiary of the Emirati Emaar Properties that built the world's tallest building Burj Khalifa in Dubai. The King Abdullah Economic City, or KAEC, was founded by Saudi King Abdullah in 2006. 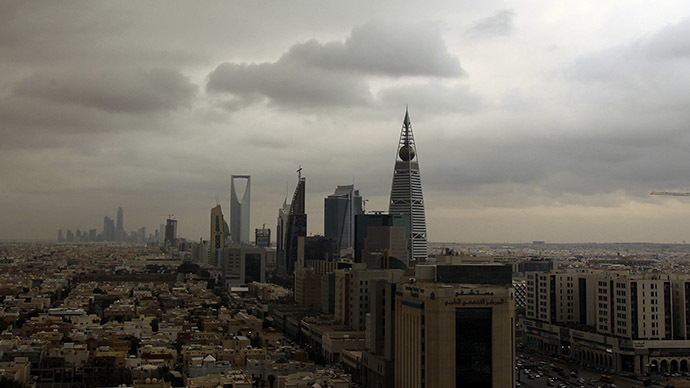 The projected city is located about 100 kilometers (60 miles) north of Jeddah, Saudi Arabia's current commercial center. The projected city with numerous industrial parks, hospitals and schools is expected to house 2 million residents. KAEC is expected to become one of the world's top 10 ports. The port is currently capable of handling 2.7 million containers a year. The capacity is expected to grow to 20 million containers per year once it’s completed in 2035. Twenty three percent of global trade goes through the Red Sea, said al-Rasheed, and the countries that border it, among which are Yemen, Egypt and Sudan, have seen high growth rates, making the area "perhaps the largest new emerging market." A high-speed train will link the city to Jeddah and the holy cities of Mecca and Medina. Around 3,000 people are currently residing in the city, which can already provide 7,000 non-construction jobs, al-Rasheed said. The industrial park has attracted around 100 companies, nine of them are already operating there and 20 are building facilities. The target is to increase the city’s population by 50,000 residents and open 28,000 jobs by 2020. By that time 25 percent of the city, or 45 million square meters, are expected to be developed.